BoldLeads is a powerful real estate lead generation software, helping real estate agents generate and nurture leads through Facebook advertising, conversion-optimized landing pages, a robust CRM, and marketing automation tools. BoldLeads is designed as an end-to-end real estate marketing funnel that helps agents save time, increase qualified leads, and drive more sales. Overall, BoldLeads supplies real estate agents with the one thing they need to make more sales: lead generation. Agents are able to boost sales and skip the painful job of competing for the same leads with other agents in the area. Find out how BoldLeads does the marketing and advertising work for you at an unbeatable price so you can get back to selling real estate. Real estate is an extremely competitive industry, with over 2 million active real estate agents in the United States. BoldLeads accepts only one agent per ZIP code, so you can stand out from the competition in your real estate market and reach your exact target audience. Exclusivity is a critical advantage of BoldLeads because limiting the number of qualified agents in a listing area means you can become the leading agent in your area. BoldLeads markets your brand and properties with online ads. BoldLeads locks out the competition so you shine as the premier person for the lead to contact. Visit the BoldLeads website to check the availability of your ZIP code and claim your area. If you find out that your location is already taken by another agency, then you should try another top lead generation tool like Real Geeks or Market Leader. Once you sign up for an account, it’s time to design some conversion-optimized landing pages to attract new leads. BoldLeads landing pages are the first place that buyers and sellers come to find out more information about a property, your agency, and your track record. When an ad or another form of marketing eventually drops a user off on a BoldLeads landing page, the goal is to gather a lead using an engaging lead capture form on your landing page. Customizing your BoldLeads landing pages starts with using the easy-to-edit templates to upload your logo, add your content and contact details, and choose images. The BoldLeads website editor is a fast, easy way for the real estate agent to design a landing page without complicated code and lots of steps. A big part of your landing pages will be the lead capture forms and lead magnets. Lead capture forms give website visitors an opportunity to exchange their contact details for more in-depth access to website features like favorites or saved searches. Lead magnets exchange some information like a market report or home valuation for contact details. Use a lead capture form for visitors to enter their contact details for valuable website features such as full property details with more images, the ability to share a property, or an enhanced search feature that delivers new results through email. BoldLeads lead capture forms allow a buyer to self-identify and share their interest with a real estate agent by sharing their contact information. When someone visits your landing page, BoldLeads’ lead capture forms entice visitors to share contact information in exchange for your neighborhood report or home valuation report. This fills your sales funnel with qualified leads who know your brand. Market Snapshot Reports (buyers): Buyers likely want to know what the market is like in a particular area or what the school system rankings are for the neighborhood. As a neighborhood expert, a real estate agent understands the market like no one else. You can provide a useful report in exchange for a visitor’s email address. CMA Reports (sellers): Sellers probably want to know about property value and recent sales in their area. CMA reports help agents connect their sales funnel to the other end of the real estate service channel to get leads from potential sellers. Create your report and then use a BoldLeads lead magnet template to start collecting leads. Setting up your social media channels is an important step because you will be using your Facebook page for advertising with BoldLeads. In order to make the most of BoldLeads Facebook marketing campaigns, your social media must be ready with the correct information to make sure leads can click through to your website or call you about a property. Contact Information: Make sure social media visitors can get in touch with you via phone or email by reviewing your contact information. About Us: Add pictures of yourself and general information about your company. Be sure to include any industry awards or distinctions for real estate. Links to Website & Landing Pages: Proof all links to make sure there are no broken links and share new listings to your page. Posting on social media consistently will give buyers and sellers something to interact with on your social channels and keep your social media at the top of their feed, so be sure that your Facebook page is set up so you are ready to run advertising campaigns and drive traffic to your new conversion-optimized landing pages. Getting the BoldLeads automated marketing tools ready for your lead funnel is a critical step because you want to follow up with new leads efficiently. You want to be ready when traffic comes to your website through your social media advertising efforts. The right automated marketing tools help move contacts through the steps of the buying cycle. With BoldLeads automated marketing tools, you can set triggers to react when a lead completes a certain action or reaches a specific stage of your CRM pipeline. For example, if a lead fills out a form to request a viewing of a property, then the BoldLeads system can respond by text to help them schedule a showing. While emails may sit for a few hours and voicemails might wait until someone checks their messages, texts are usually viewed and reacted to quicker than other forms of communication. Setting up BoldLeads automated texts to introduce yourself to new leads, remind them of your availability, and move them through the buying cycle keeps you top of mind. From automated updates of new listings to in-depth market reports about a certain area, BoldLeads drip marketing emails give you a reason to connect and reconnect with a lead on an ongoing basis. By setting up automated BoldLeads drip marketing emails, you can stay in front of a buyer or seller with information based on their preferences and interests. Setting up BoldLeads voicemail automation can help you stay in touch and keep the buyer informed without wasting time. With BoldLeads voicemail automation, you can leave a short message for a buyer or seller that prompts them to call you at their convenience or reconnect with you on their time. 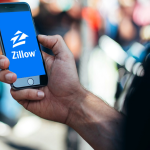 The ability to connect with all potential buyers and sellers through communication channels like a BoldLeads automated bulk text, a voicemail, or an email about specific events like new listings or open houses can be a significant time-saving effort. Mass communications give the contact information you want them to know in an efficient manner. BoldLeads autoresponders are automatic correspondences that reach back to a contact in place of the real estate agent to share information, answer a question, or open the lines of communication. Autoresponders are a great way to save time in the interaction process and move the correspondence up to the next level. The BoldLeads CRM helps you manage and nurture leads all the way through the sales process. Their CRM receives, manages, and tracks leads captured through your landing pages, so each valuable lead is handled without getting lost in the process or increasing the time investment. For real estate agents who work with specific lenders, the BoldLeads solution can save you time in routing information. BoldLeads can automatically reroute lender inquiries to the companies of your choice without hands-on management from the real estate agent. BoldLeads gives multi-agent offices and brokers the power to track leads through the pipeline. The administrator can decide which agent gets a lead, reassign the lead to an open agent, and create a priority order for automatically dispensing contacts as they come into the CRM. Many real estate agents use third-party solutions to create, manage, and track leads due to multiple lead generation efforts. It only makes sense to integrate your third-party solutions with BoldLeads so that you have all your leads in one place and don’t have to log in and out of several platforms. 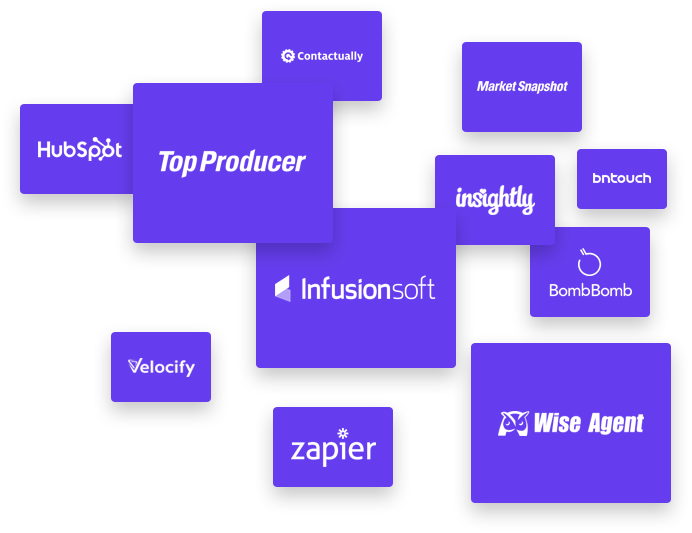 By combining your BoldLeads account with tools like Insightly, InfusionSoft, and Market Snapshot, you have a more accurate view of your lead funnel and the power to manage your sales cycle. Third-party integration gives you all of your leads in one place so you can track them from contact to close of sale without multiple clicks through several systems. BoldLeads features an innovative Facebook advertising approach that harnesses the power of social media and the presence of your local market to fill a thriving real estate sales funnel. By driving traffic from Facebook to your landing pages, the lead capture forms offer visitors lead magnets and enhanced features in return for their contact information. BoldLeads drives targeted traffic to your new landing pages through Facebook. Because local ads on Facebook compete with each other for views and drive up the price of the ads, BoldLeads creates Facebook ads from listings and branding that convert into leads by driving location-based traffic to your landing pages. BoldLeads saves you time and effort by matching the email address provided by new leads with social media profiles to give you additional data about buying behavior and interests. Social media profiles are filled with behavior metrics and demographics, so agents are able to find out more information about their lead to tailor their sales approach and increase their sales opportunity. Every real estate agent knows that it is critical to always be closing (ABC) the sale. BoldLeads helps close the sale by keeping leads engaged all the way through the pipeline with drip emails and targeted campaigns set up at specific stages in the cycle. The BoldLeads lead generation solution is also refilling the sales funnel with new opportunities, as the CRM is helping you cultivate potential sales by tracking progress through the pipeline. Use the BoldLeads tracking to prioritize efforts and spend time on leads who are showing the most engagement. BoldLeads eases the complexity of the buying cycle for real estate agents by constantly refilling the sales funnel and streamlining the lead generation and tracking process. Discovering a new feature or learning a new way of approaching a lead can make all of the difference in your bottom line. Support and training set BoldLeads apart from other real estate lead generation solutions because the interaction just begins when you claim your marketing area. BoldLeads hosts lead conversion webinars to make sure that you are prepared to take full advantage of every submission and move it through the sales pipeline. Knowing how to monitor, track, and engage leads will amp up your efforts without increasing your time investment. From the moment you become a BoldLeads member, the support team reaches out to answer questions and make sure that your lead generation system is set up correctly. Gaining high-quality contacts with a strong possibility of converting means money in the bank. The Facebook Mastermind group is restricted to only BoldLeads members. This is the online space where you connect with other agents to build your network and learn from each other about the best ways to boost your sales. The daily training classes are your opportunity to learn more about ways to make the most of your BoldLeads membership. From hidden tricks to big “did you know” moments, BoldLeads knows that increasing your performance means increasing your sales and satisfaction. BoldLeads pricing starts at $299 per month for buyer or seller pro plans, $589 per month for both buyer and seller pro plans, and $899 per month for broker plans. BoldLeads focuses on driving traffic to your landing pages with targeted “done-for-you” ads aimed at boosting sales conversion and beating local competition while saving time. 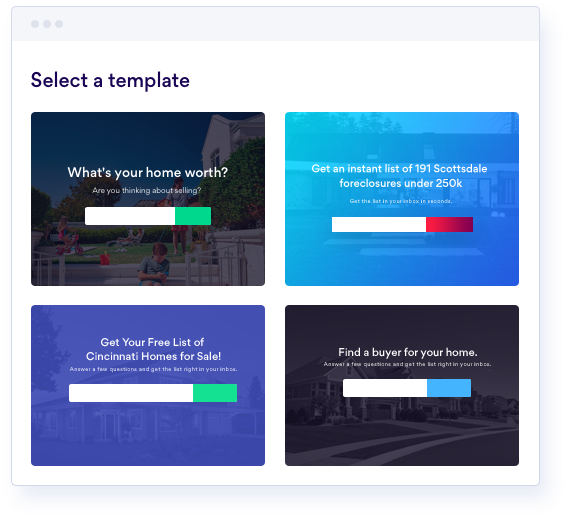 Seller Pro Plan: $299 per month – The Seller Pro plan attracts potential sellers to high-conversion landing pages for agents who focus on the sales side of real estate. Buyer Pro Plan: $299 per month – The Buyer Pro plan gives real estate agents the power to attract qualified buyers into their sales funnel through managed Facebook ads that send local traffic to their landing pages. Seller & Buyer Pro Plan: $589 per month – The Seller and Buyer Pro plan empower real estate agents to work both sides of the realty sales process. By appealing to both people who want to buy a home and people who want to sell a home, you can increase your sales opportunities and profitability with the best of both worlds. Broker Pro Plan: $899 per month – The Broker Pro plan combines the Buyer and Seller Pro plans with the needs of a multiple agent offices. This BoldLeads solution includes up to nine-seat licenses with all of the time-saving tools of marketing automation and lead tracking, plus the high-level administrative ability to monitor performance and assign leads. All BoldLeads plans include a welcome call to talk about how to make the most of the lead management CRM and save more time with the enhanced automated marketing tools. Combined with the exclusivity of your ZIP code that locks out the competition and Facebook advertising that is designed for real estate goals by BoldLeads, the daily training opportunities, webinars, and mastermind group is your chance to grow your network and knowledge. Because one listing or sale could easily pay for an investment in BoldLeads and block out the competition for your ZIP code, the BoldLeads turnkey lead generation solution could easily pay for itself month after month by continually filling your lead funnel. BoldLeads is right for any real estate agent or agency that wants the ability to produce high-quality leads without throwing away time and money. BoldLeads simplifies the process by handling every step of the advertising and supplying quick setup marketing automation tools. Sellers: For agents who want to gather leads for property listings or home sales, BoldLeads focuses on targeting ads toward potential sellers. Buyers: When an agent desires leads from buyers, BoldLeads creates advertising campaigns aimed at converting people interested in buying a home or property in a certain location. Brokers: For larger agencies or brokerages, BoldLeads adds the administrative power to manage and measure up to nine agents’ buyer and seller lead generation efforts. Does BoldLeads Limit the Number of Agents in an Area? 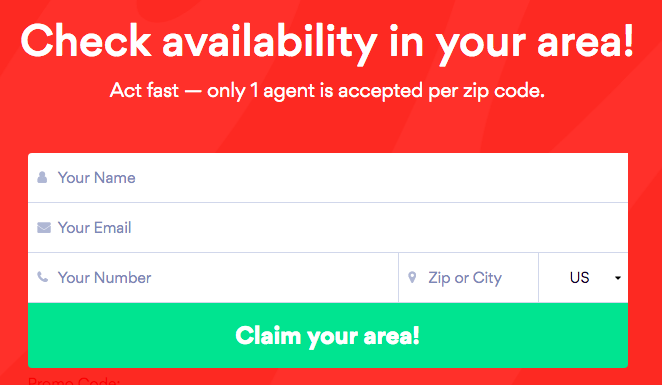 Yes, each ZIP code is restricted to only one agent or agency per area to enhance advertising efforts and eliminate competition. Visit the BoldLeads website to check the availability of your ZIP code and claim your area. What Is the Minimum Ad Investment? The ad budget minimum is $250 per month, but most agents dedicate more to their ad campaign to maximize exposure. Because BoldLeads does not represent more than one agent in a given area, the advertising does not compete with other agents. Is There a Price Break for Paying Bi-Annually or Annually? Yes, you can save up to 15 percent by prepaying for a subscription six months to a year ahead of time. BoldLeads is an exclusive solution that is designed to highlight one real estate agent or agency per ZIP code and convert traffic into leads via highly-targeted Facebook advertising. With an enhanced CRM system that captures the contact information and tracks it throughout the sales cycle, real estate agents can deploy time and money savings via automated drip email marketing. BoldLeads refills the sales funnels with targeted leads while decreasing the impact of competition for real estate agents in their community. BoldLeads gives you an exclusive lock on the leads in your geographic ZIP code. 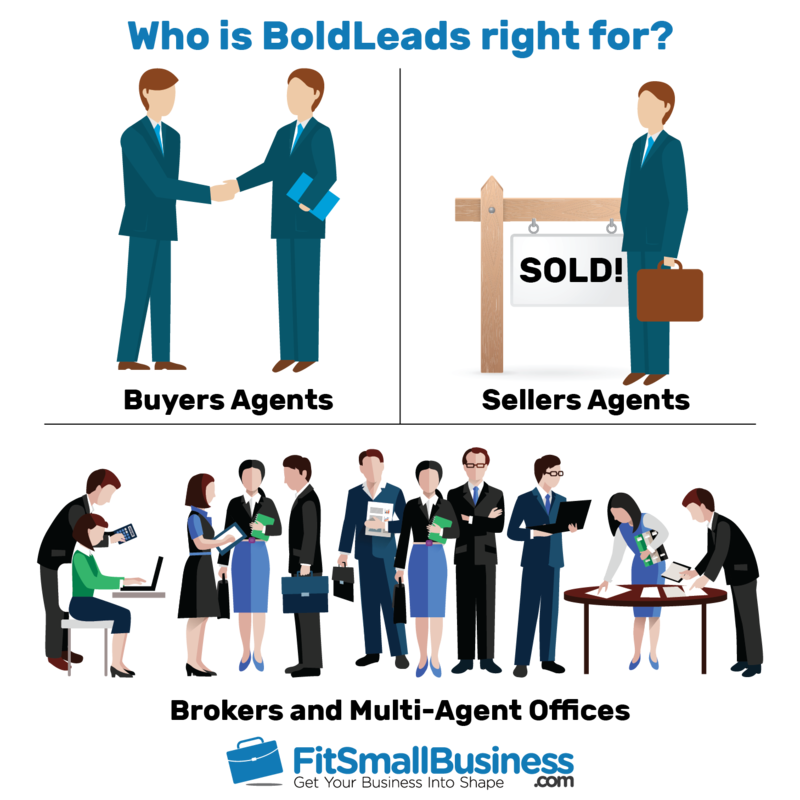 Find out more about the benefits of BoldLeads and check to see if your market is available today by visiting their website.